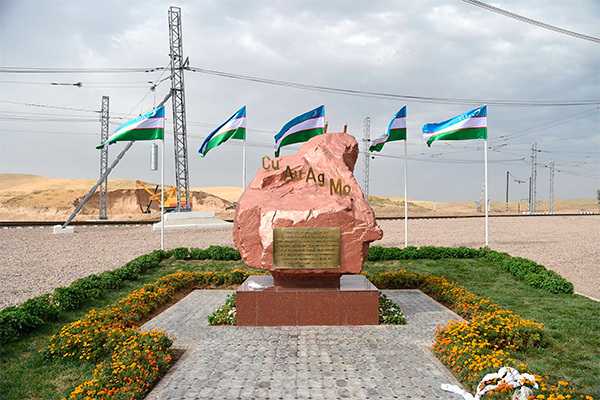 Tashkent, Uzbekistan (UzDaily.com) -- President of Uzbekistan Shavkat Mirziyoyev took part in the solemn ceremony of launching the project “The Second Stage of Development of Almalyk Mining and Metallurgical Combine” on 12 August. In March Uzbek President approved a development program of Almalyk Mining and Metallurgical Combine (AGMK) for the period until 2030. The programme envisages raising copper production by 1.4 times and precious metals by 33%. As part of the project, it is planned to move one railway line and build two new railway lines and several roads. 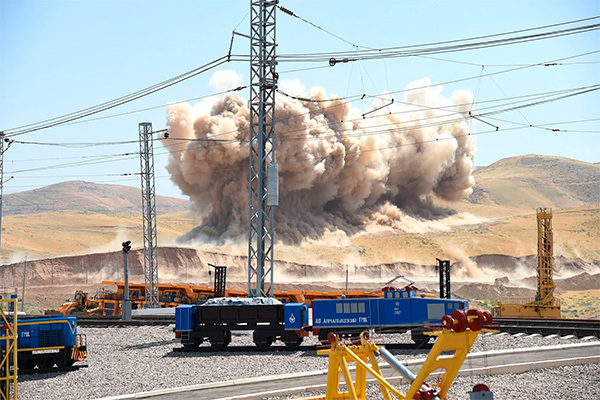 A tunnel with a length of 1.4 km and a conveyor with a length of 3.1 km, facilities for production, transport, energy and other infrastructure will be built. AGMK will also build a new copper-concentrating complex, shops on electrolysis of copper, production of sulfuric acid and other objects. The manufactured products will mainly be exported. It is expected that the project will be fully operational in 2028. In a solemn atmosphere, the foundation of the complex was laid. Uzbek President Shavkat Mirziyoyev said that Uzbekistan is rich in natural resources, but the country does not use them effectively. “We have not paid enough attention to the development of geology. Now we will radically improve the work on improving this industry,” he said.